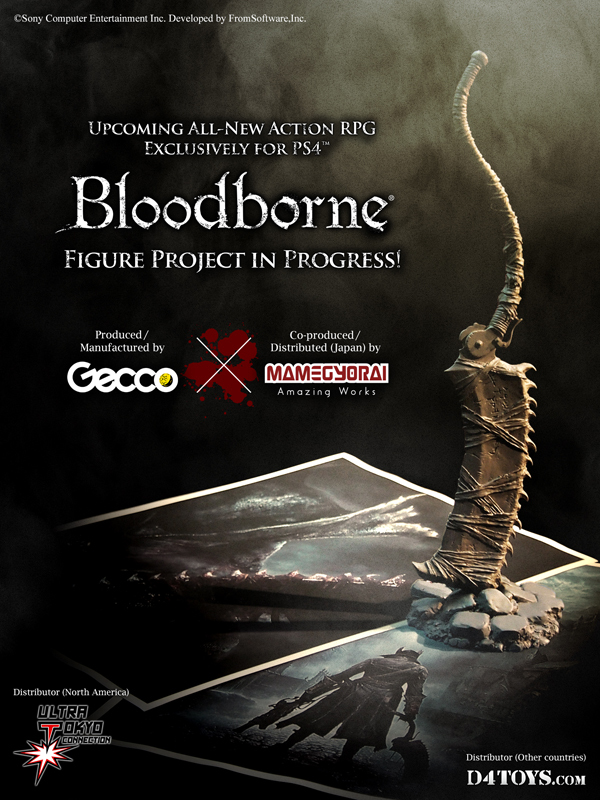 At Tokyo Game Show 2014, Sony Computer Entertainment has just announced that Gecco and Mamegyorai are working on “Bloodborne” statue. In this game, there are so many cool stuff to be recreated as figures. Today, we showed only the prototype of the weapon, saw cleaver, representing “Bloodborne,” but we’ll make the whole body of the main playable character (hunter), of course. The scale will be 1/6th as usual.